Lily Drone seemed like a promising project when they started, but it didn’t go without its fair share of problems. After the production issues and delay in delivery, it seems that Lily’s developers have finally decided to give up. They sent an email to their suppporters and customers who pre-ordered the Lily Drone, where they stated that they’re winding down the company. They promised full refund for everyone who pre-oredered the drone. Antoine and Henry here from the Lily team. When Lily set out on the journey to create a flying camera over three years ago, we were determined to develop and deliver a product that would exceed your expectations. In the past year, the Lily family has had many ups and downs. We have been delighted by the steady advancements in the quality of our product and have received great feedback from our Beta program. At the same time, we have been racing against a clock of ever-diminishing funds. Over the past few months, we have tried to secure financing in order to unlock our manufacturing line and ship our first units – but have been unable to do this. As a result, we are deeply saddened to say that we are planning to wind down the company and offer refunds to customers (details below). We want to thank you for sticking with us and believing in us during this time. Our community was the drive that kept us going even as circumstances became more and more difficult. Your encouraging words through our forums and in your emails gave us hope and the energy we needed to keep fighting. Before we sign off, we want to thank all the people who have worked at Lily, who have partnered with us, and who have invested in us. Thank you for giving your all, nights, weekends and holidays, in the effort to deliver a great product. After so much hard work, we are sad to see this adventure come to an end. We are very sorry and disappointed that we will not be able to deliver your flying camera, and are incredibly grateful for your support as a pre-order customer. Thank you for believing in our vision and giving us the opportunity to get this far. We hope our contribution will help pave the way for the exciting future of our industry. Lily will be offering a refund to customers over the next 60 days. We will be initiating refunds to the payment card used for the original transaction (no action is required on your part; please allow 14 days for the refund to appear on your statement). If the card you used is expired, please fill out this form so we can work with you on providing a refund by other means (e.g., PayPal or check). I’m sorry to see Lily shut down and have the same destiny as TriggerTrap and Karma Drone. As for the refunds, hopefully this won’t end up like the KitSentry story. 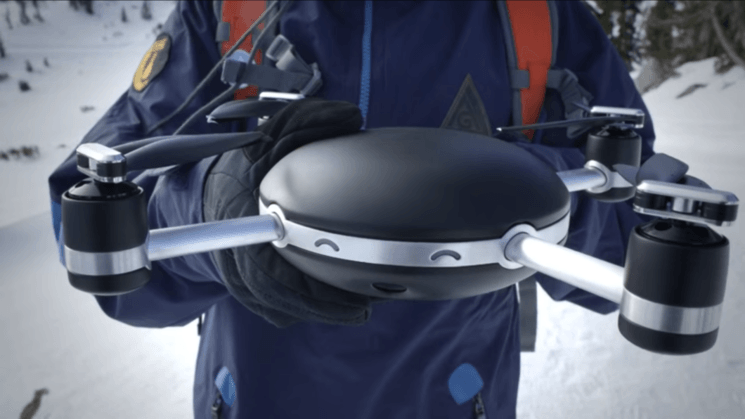 Let me plug somewhat of an underdog of the kickstarter following drones: AirDog. Actually it works and you can buy it too. it seems kickstarter is just for betrayer and fraudster these days.